As a young boy watching my dad work on cars, I noticed how he was methodical in his approach to fixing a problem on a vehicle. He did not believe in "throwing parts" at a vehicle; he properly diagnosed each problem and then repaired it. He used to say to me "Never try to fix the symptoms, fix the problem." His belief was to fix it right the first time. I watched as he talked with people discussing the problems they were having with their vehicle. He listened intently to their descriptions and, when he had a firm grasp on the problem, he reassured them that he had a handle on things and then proceeded to work on the problem until it was repaired correctly. He took a lot of pride in his work and taught me too as well during those early times. One day, while I was in the garage with him, he asked me to go and see if the keys were in his friend Bob's car. Knowing he had just met this man for the first time just an hour earlier, I asked why he referred to the customers that came into the shop as his "friends" and on that day he taught me another lesson. He explained to me the he didnt like the word "customer" because to him, it was impersonal. He told me that he "takes working on their cars personal and feels responsible for getting their car repaired correctly so that it was safe and reliable to drive and because of that I consider all those people friends because I wouldn't want to let a friend down." After hearing that, it made perfect sense to me on how and why he approached the work he performed and I feel the same about all those folks who trust in me to get their vehicles repaired also. All the valuable lessons I learned from my dad helped me to build a successful career in amateur and professional auto racing, working for the International Race Of Champions (IROC) series as well as a few well-known NASCAR racing teams, preparing cars for some of the worlds best drivers. On race day mornings when we, the mechanics, would have one last check of the car before we sent it out for competition that day, I would utlize another lesson learned from my dad a long time ago. He would say "Is this car the best I can possibly make it and do I trust it enough that I would drive it myself?" When that answer was a solid YES!, then it was time to go racing. That final thought was used countless times as the final check list for the repair of a friends vehicle and it has served my dad and me personally very well for over 35+ years as a final send off to a job completed. At Autobody Specialists, we have the same approach to every vehicle and every task that we perform. Our whole team understands the meaning of that sentence and we treat each repair and refinish as if they were our own personal vehicles. We stay current on the latest and best techniques to repair and refinish vehicles by continuing to take educational classes, professional and product training classes to stay on the cutting edge of technology so that the vehicles we work on are the best they can be. Thank you for taking the time to read a little of our history and for your trust in us to repair your vehicle. Experience and knowledge with 35+ years of experience - Certified technicians are utlized for all areas of work performed and our staff possesses many years of experience in the auto body repair industry. We didnt start doing this sort of stuff yesterday. It has been a lifelong journey of repairing automobiles and the education that we have aquired that sets us apart from the others. We take pride in being able to pin-point problems quickly so we can get you back on the road faster. We are a results driven company, meaning that we know the power of the referrals from our friends so we strive to provide an unexpected level of satisfaction so that you will feel comfortable referring your family and friends to us. We know the frustration you have when your car or truck has collision damage or is not running or driving correctly and we strive to complete your repair or maintenance service as quickly as possible. We will explain to you what needs to be done to your vehicle to make it operational and safe to drive in a no-nonsense simple manner so that we are on the same page at all times. If there is an alternate option on how a particular repair can be performed, we will present that option to you so you can make the choice, be it due to a budget concern or possibly a potential upgrade to your vehicle that will make it drive or perform better. We will strive to keep you informed to your choices. We are different that most other collision or repair shops in that we use tried and true methods of repair that have passed the test of time. We value our reputation and your safety. Although technology changes all the time in the repair industry, it doesn't mean its always a good change. We test the latest and greatest things on our own vehicles first to see how they hold up and then we make change when change is for the better, not for when change is only structured to save money for an insurance company that isn't worried about twisting the arm of a shop in the name of cost and it provides an inferior repair. We work with your insurance company to repair your vehicle as it was meant to be from the manufacturer and we fight like mad when the insurance companies want to cut corners on our friends vehicles when we feel it's not in your best interest. We do that because it's what we're SUPPOSED to do as your trusted collision repair shop. Not all shops will go to this degree for your safety, but WE ALWAYS DO ! 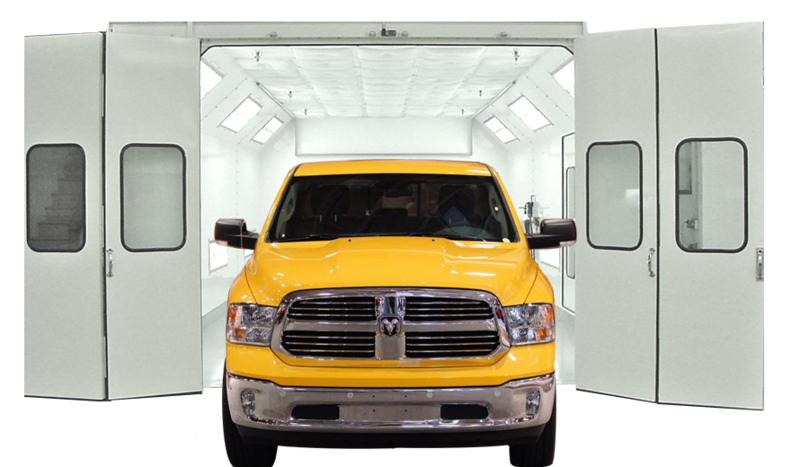 When it comes to the painting of your vehicle, we are first in class. We use high quality materials and processes most times better than the original finish of the car to give it a brilliant shine and long lasting protection. We attend training classes on a regular basis from the manufacturers of the products we use to insure that they are applied and utlized as they were intended to be. We do this because we don't second guess anything ... We continue to train and learn on a regular basis. Why do we go through the cost and effort of all of this? ... Because we want our work to outshine all others. There are much cheaper materials out there to use but we don't use them because if we wouldn't put them on our cars, we wouldn't put them on yours. We know of many shops in the area that use them (they call themselves "high end" restoration shops) and shame on them for compromising their reputation and your cars value at trade-in time. We Specialize In First Class Finishes ! Our service rates are very competitive and we work on both foreign and domestic vehicles, motorcycles and trucks, RV's and ... well, you name it. If it has paint on it, we can refinish it, Literally!!! We have the experience and know-how to get the job done right the first time. Our location is very convenient and easy to find and we strive to be the best in everything we do. Contact us today and find out why so many people have chosen us for all their automotive service needs. We look forward to serving you for many years to come.